Keep the radio locked. I think that’s how they used to say it. It means, ‘stay-tuned’ or ‘keep reading’. 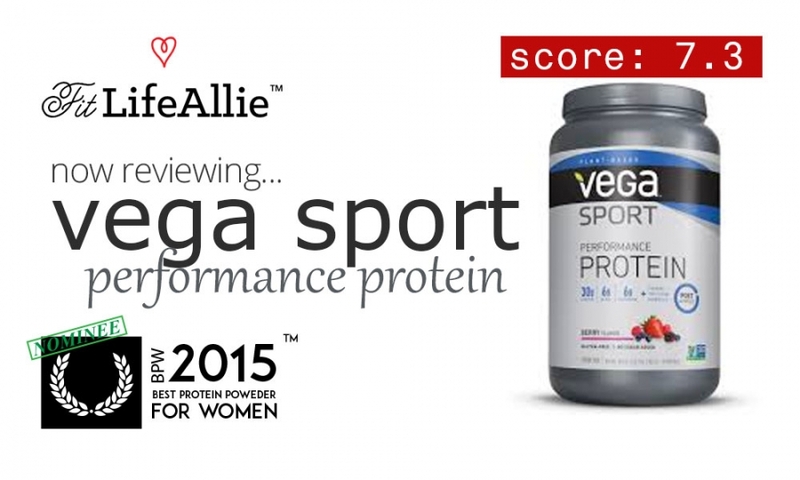 And that’s what you should do to get the low-down on Vega Sport Protein. I will launch into it in just a second, but first, let’s talk about how freakin’ crazy boys are these days. I’ve been hanging out with, ‘Todd’, let’s call him, for about three weeks now, and then last Friday we went out and I thought we were having a good time, and then he ran into a bunch of his ‘bros’ or whoever they were, some sort of work acquaintances…and then like ten minutes after I met them, Todd just like, ran off with them and I never say them again! On top of that, Todd didn’t text me until like 4 the next day. I know. I know. You need to tell Todd that it’s ‘bye bye’ time for pulling a stunt like that. Let’s be serious it’s not like he was just playing video games with his buddies all night. Ew. I honestly don’t even want to know at this point. Like. Almost sick to my stomach over it. But whatever. I’m a tough one. Oh. Speaking of sick to my stomach. We’re talking about Vega Sport aren’t we? Welp. Why don’t we start with the formula. Yes please. That’s what I said when I read those beautiful stats. Ok. I guess it’s time to answer the tough question now. Why did I HATE this protein enough to give it a horrible grade even on the supplement facts, when they are admittedly the Scott Eastwood of supplement facts? Let me tell you why. Let me tell you why indeed. Because EVERY time I drink this isht, my stomach feels like, I don’t know, how bad could getting stabbed with a hockey stick be? Because I think it HAS to be that. It feels so bad. You drink it, and then for four hours it feels like it’s just caught in your throat, and then for the next two hours your stomach just flat out hurts. Oh it’s so bad. But hey, I guess it tastes ok? From worst to first. Or something like that. Actually there are much better proteins to be had (check out our top ten best-tasting protein powders here), but as far as a natural protein powder goes, this one is not so bad. I found that the texture was a tiny bit grainy, but that’s just how it is with Vegan / plant-based proteins. But in terms of the flavors themselves, this one is actually tough to beat. The vanilla flavors are quite strong, but in a good way. The vanilla is smooth and authentic, while the sweetness also seems to be much more ‘solid’ than you would expect. There is one gram of sugar per serving, but it tastes like there is much more than that. The funny thing about Vega Sport Performance Protein is that if you close your eyes and tastes it, and then someone asked you what flavor it is? You wouldn’t really know what to say. You’d just know it was good, but honestly it has a sort of earthy, almost spiciness to it that you don’t often find with other products that are just vanilla flavored. I WOULD try the other flavors but quite frankly it’s just not worth the stomachache. But if you have tried them, let me know how they are and I’ll update the Vega Sport Protein Review to include more flavor data and hopefully help folks sort out what’s the best flavor of Vega Sport Performance Protein. Why don’t we take a hot second to talk about looks now. I would probably give Todd an 8 out of 10 right now, but in reality, he’s closer to a nine. Why do I bring that up? Because it’s a parable. It is a parallel message to what the case is with Vega Sport Plant-based protein. To me, right now, sitting on my counter, this protein looks like crap. But that’s because it made me FEEL like crap. So I am equating that horrid feeling with the product, and it makes it ugly. Do you see now? Todd has hurt me, and now I am seeing only the ugliness in him physically as well. It’s very strange, I know. But look at Vega Sport Protein. It really IS ugly. It’s blackish/grayish and then has ugly gray and blue colors throughout the label. It has a total lack of spirit. While those silly Zurvita products had awful formulations, at least they had a gorgeous, lively package design. These Vega Products though- ew. Just ew. The Vega pre workout energizer and this Vega Sport Protein look similar and are boring. Then the Vega One Meal Replacement is ALSO boring, if in a different way. Vega should really take a page out of Zurvita’s book and try to capture some more life in their aesthetic and branding. Oh- and try to make a protein that doesn’t feel like it’s killing you when you drink it. The difference between Vega One and Vega Sport Performance Protein is that the Sport protein feels terrible and is impossible to digest, whereas the Vega One is lower in BCAA. That’s super distilled and super candid, but it’s also super true. Buy Vega One and deal with the worse taste and worse amino acid profile. Because at least you won’t feel sick to your stomach and have terrible burping and gas. Mk? Mk.